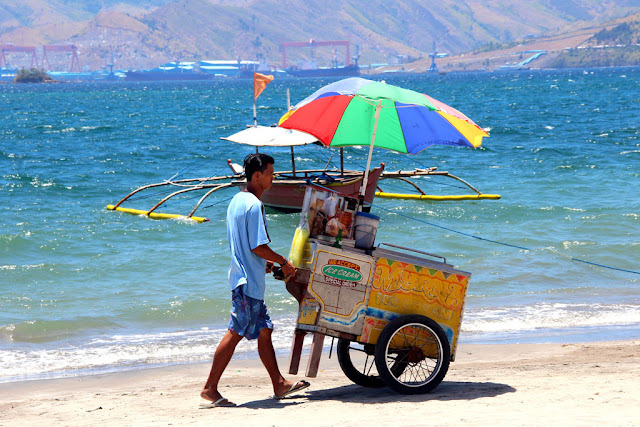 Nothing says "summer" in the Philippines more than going to the beaches or waiting for the sorbetero, the ice cream vendor, to pass by your street bringing you tasty, colorful sorbetes (homemade ice cream) and other delicious, frozen treats to cool you down in the summer heat. 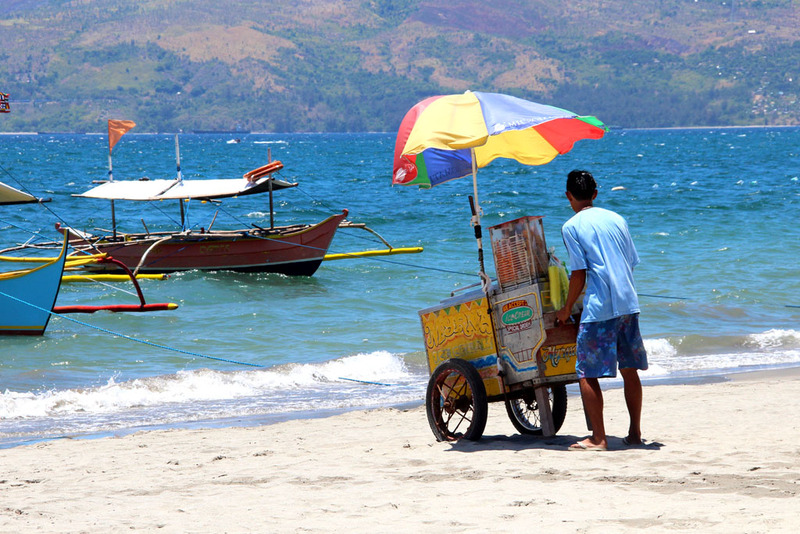 It's two for two if find the sorbetero hawking his goods on the beach, like this guy in Baloy Long Beach, Olongapo. By the way, what we refer to as summer in the Philippines is actually the dry, hot months from March to end of May. That's the time the locals flock to the beaches to cool down.